There's a reason Handel's "Messiah" has stood the test of time--it's a powerful and memorable musical rendition of the life of Christ. 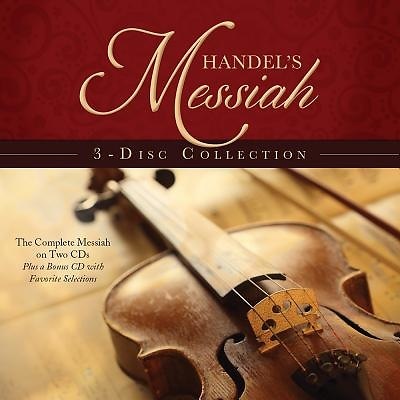 Long a Christmas favorite, this classic story in song is now available in its entirety for less than $10 This 3-CD package features the complete "Messiah" on two disks, plus a bonus disk of other Christmas favorites. Ideal for either personal listening or Christmas gatherings, this quality collection promises hours of musical pleasure. Don't miss this opportunity to own a true Christmas classic for under $10.